We all know that accidents can occur to any of us, and we know that this includes pets. We spill coffee, drinks and even food on surfaces which are hard to clean. Pets, on the other hand, can cause even more damage, For instance, they leave problematic stains and odors behind. Additionally, we all know the traditional fix for this – mixing vinegar, water, and baking soda can do the trick. Especially when it comes to regular stains. However, not every accident is regular. Sometimes we all need to use the best pet stain remover in order to actually remove the stain and the smell. So, in such cases, you should resort to professional help. When we say professional help we don’t mean calling a service for a single stain. However, we mean professional removing chemicals for the sole purpose of pet stains. These are excellent for removing heavy-duty stains and smells. Also, they are made in a special way, so they protect the surface you are cleaning without damaging it or lightening its color. All in all, these are very handy to have around, especially if you really like that carpet or that sofa you have. Why risk having it ruined forever, right? What does a pet stain remover do? A pet stain remover of high quality can be a life-saver that is for sure. It can clean all the possible messes a pet can make. All you need to do is get one. Afterwards, you just find the mess and spray on it. Then, you gently wipe and rub the stain – and it is gone. Additionally, these sprays and solutions are excellent because asides from the stain, they remove the smell and odor from your pet’s accident. You might not always need this type of a remover, but it is surely handy to have a reliable pet stain remover just in case. After all, accidents can happen to each and every one of us. Why should you get a pet stain remover? As we said before, pet stain removers are created with the sole purpose of cleaning pet stains perfectly. However, some stains, depending on what your pet’s diet include might not be very easy to clean, especially if dried. So, having a pet stain remover is almost a necessity when you have a pet. Even if you never have to actually use it, it is better to have. After all, it is a small investment to make without risking having to buy a new carpet or a sofa. So, we’d say that a reliable pet stain remover is a plan B in case an accident happens. It can also be used for other stubborn stains too – so you will have an additional solution in your home. We cannot even start to list the things that can make a mess on surfaces that come from pets. You have the obvious: food, urine, blood, grass, vomit and what not. All of these stains can be very hard to eliminate, especially if they dry up a bit. Luckily, Nature’s Miracle advanced pet trigger sprayer is the product that will solve your problems. Featuring an advanced bio-enzymatic cleaning formula, it is a natural way of eliminating odors, smells, and stains. If you have stubborn stains on laundry, you can just spray some of it on the stain too. Afterwards, just put it in the washing machine and you are good to go. This Sprayer is amazing for cleaning stains from all types of furniture and bedding, carpets and even soft clothes. It is completely safe, natural and effective. You can even use it if you have sensitive kids or pets to smells. This sprayer doesn’t leave no scent behind it whatsoever. So, it is a perfect solution to use if you want to make it as if the stain never happened. 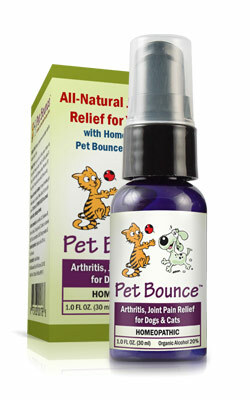 It is excellent for all types of pets – from dogs and cats to parrots and rabbits. Do you have an active cat or dog that simply gets into mischief every now and then? Does your dog or cat bring all types of dirt in the house? With the Rocco & Roxie pet stain remover, these problems will all go into the past. Again, this solution is powered by natural and enzymatic bacteria which only work when in contact with smells and stains. So, you just apply it to the surface, and it discourages the re-appear of the odor altogether. It is completely safe to use on all types of surfaces – from carpets and flooring to furniture and clothing. It is gentle and it doesn’t leave any signs of ever being there. Also, you should know that this pet stain remover is chlorine and color safe, and has zero hazardous propellants. In the end, this is what makes it very friendly to the environment. Also, this means that you shouldn’t worry about using it around sensitive people, children or pets. Bubba’s Pet Stain and Odor Remover what we would definitely recommend if you have problems with cat and dog urine and feces. It is also very effective on other types of stains like food, wine, grass, mud and whatnot. You can even use it as a pre-wash treatment of the stains if you need it. It is highly-concentrated which is what makes it very powerful and effective. If you want to, you can use it on a great variety of surfaces – from rugs to upholstery and furniture. Also, it does have a scent, but it isn’t too heavy to smell, so this wouldn’t be a huge problem.